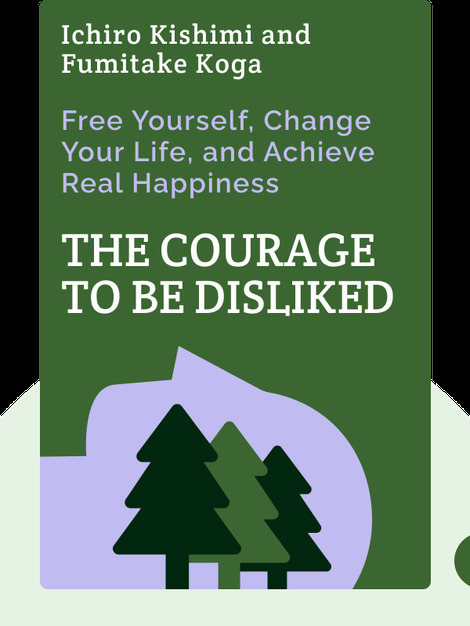 The Courage to Be Disliked (2018) takes a look at the psychology of Alfred Adler, the famous twentieth-century Austrian psychologist. Adler argued that we should care less about what other people think and the authors show how Adler’s philosophy can continue to benefit us today. Ichiro Kishimi lives in his hometown of Kyoto where he has been examining and practicing Adlerian psychology since 1989. He is a psychiatric counselor for troubled young adults in Kyoto and has translated several books by Alfred Adler into Japanese. He has also published Introduction to Adlerian Psychology. Fumitake Koga has written a number of bestselling books on business management. After becoming an enthusiast of the Adlerian psychology in the early 2000s, he started visiting Ichiro Kishimi, taking the notes which eventually became The Courage to Be Disliked.